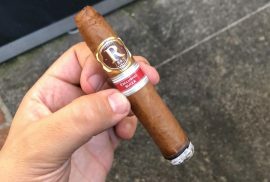 A great city where everything is taken to the extreme, the tallest buildings, the most luxurious hotels, titanic constructions… So one must think they would also have the best cigar clubs. And you would not be mistaken to think so, Dubai is one of the best cities in the world to find lounges, from high rise ones, to overlooking the sea. Dubai is probably one of the best cities to smoke cigars and find one of the largest and most expansive selections of limited and hard to find Cuban cigars. This cigar lounge and whisky club is one if the finest in Dubai. Located at the 14th floor of the Five hotel at Palm Jumeirah, it boasts an expansive humidor as well as a large collection of rare and vintage whiskies. 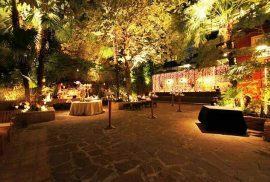 It is a members only club, therefore you must be invited by a member if your wish to visit. Alternatively you may become a member yourself. If you are in Dubai it is definitely worth the try as the views are spectacular and the Habanos selection is great! Located at the 14th floor of the Five Hotel at the Palm Jumeirah hotel in Dubai. 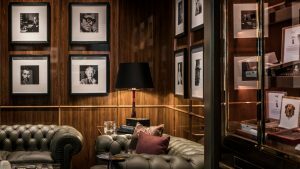 The Churchill Club at the Four Seasons hotel in Dubai, is everything you would expect from a classic British cigar club. Chester sofas, great whisky selection and an amazing humidor. The Churchill club carries both Cuban and non-Cuban cigars. 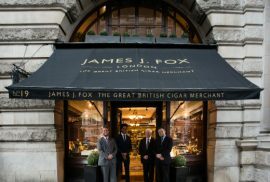 Their cigar selection is expansive, carrying many limited and regional editions. The atmosphere invites you to unwind and relax. 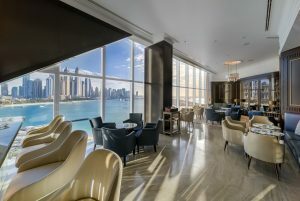 Definitely a place to disconnect from all the hustle and bustle of a city like Dubai and enjoy a nice cigar paired with a rare whisky. 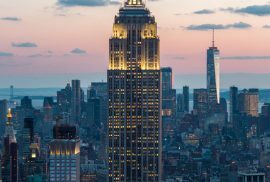 In a city dominated by high rises, and with records such as having the tallest building in the world, we would expect for there to be a high rise cigar lounge as well. 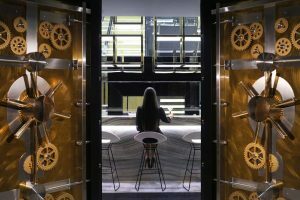 Vault is located on the 71st and 72nd floor of the JW Marriot Dubai Bay hotel. I think there is no humidor with better views in the world than this one! But Vault is more than that. Apart from having an impressive selection of Premium cigars, both Cuban and non-Cuban, they also boast a large selection of Premium spirits and wines. Later in the evening Vault also becomes a lounge bar. Somewhere to smoke your cigar in a more lively atmosphere to the beats of the DJ. Located at the 71st & 72nd floor of the JW Marriot hotel at Dubai bay. 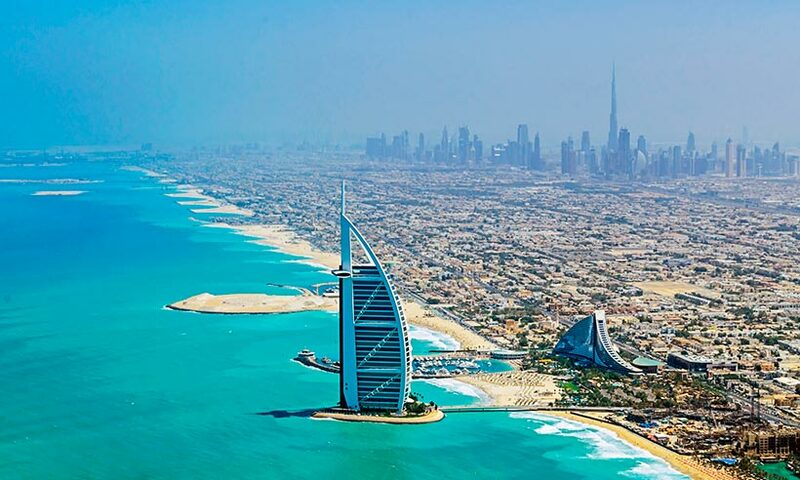 These are our top picks for Dubai, what is your favorite place to smoke when you are in Dubai? Let us know in the comments below.